1 Evenly spread Hellmann's® or Best Foods® Real Mayonnaise on one side of each bread slice. 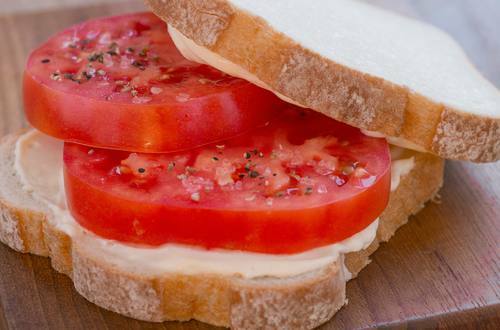 2 Top 1 slice with tomato, then sprinkle with salt and pepper to taste. Top with remaining bread slice.